Able to withstand the harshest of conditions, Mulders’ large span screens and walls can be made to exact specifications. Work can continue with minimal disruption as they make it easy to screen or partition large buildings or site works. These screens or walls can provide complete privacy and be windproof, waterproof, splashproof and UV resistant. Custom made from commercial grade PVC or canvas, large spaces can be given temporary privacy or protection. Mulders a are a long established canvas and synthetic material manufacturer. They stock materials to suit most environments. Mulders is a prominent member of the ACASPA, the Australian industry body for Canvas products. 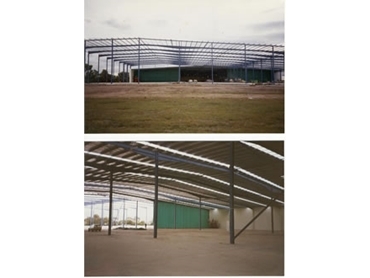 With Factory premises in Melbourne, their manufacturing capacity is substantial, utilising premises of over 1500 square meters.